The Nova Scotia Mental Health Court Program hears cases that have been recommended by a team of professionals based on a number of criteria. It is not a trial court. Participants must accept responsibility for their criminal actions. The Crown attorney for the Mental Health Court must also first determine that there is a reasonable prospect of conviction if the case were to go to trial. This web page provides more detailed information on the guidelines and policies the court program follows, as well as the forms regularly used by the Court. ~ Be involved in the Court Program for at least one (1) year. To be eligible for consideration in the Nova Scotia Mental Health Court Program, applicants must have a mental disorder. The Mental Health Court defines a mental disorder as a significant disturbance in an individual’s ability to think and/or problem solve, their control over their emotions, and/or their ability to control their behavior. Examples of mental disorders that clearly fit this definition are schizophrenia (or other psychotic disorders), bipolar disorder, and major depressive disorder. Applicants whose sole diagnosis is substance-related will not be considered, nor will applicants whose only diagnosis falls within the spectrum of paraphilic disorders (e.g., pedophilia or exhibitionism). The Mental Health Court may consider individuals with neurodevelopmental disorders or brain injury on a case-by-case basis. The program may review other cases where there is a diagnosable mental disorder that does not clearly fit the above criteria (e.g. personality disorders or attention deficit/hyperactivity disorder). However, these cases will only be reviewed under exceptional circumstances where there is a clear nexus to the offending and reasonable expectation that the intervention of the Mental Health Court will be of benefit. Individuals whose sole diagnosis is Antisocial Personality Disorder will not be considered. In all cases, an applicant’s acceptance to the Mental Health Court Program will be considered with respect to the Program’s ability to support the individual in the community. Among other considerations for an individual to be eligible for the Mental Health Court Program, the Crown attorney must consent to the person participating. It is the Crown attorney’s role to assess the file from the perspective of public interest and safety to ensure that the risk of public harm is minimized or managed in an acceptable fashion. In some cases, the Crown attorney may not provide consent for a particular applicant to be considered for inclusion in the Program. What is the degree of harm resulting from the offence? How dated are the offences? Does the applicant have a history of breaching court orders? Has the accused been in the Mental Health Court Program before? Was the participation successful or unsuccessful? Does the accused have a general history of non-compliance with programming and counselling? Does the accused have a history of non-adherence to prescribed medication recommendations? Does the accused have a lengthy record of related offences? Does the accused have a longstanding history of violent offences or sexual offences? What is the likelihood of criminal recidivism and/or risk of violence? Are there adequate resources to manage the offender’s needs within the community? Will the referral interfere with a scheduled preliminary inquiry or trial date? Any adult (18 years or older) may make an application to the Mental Health Court Program if he or she resides in the Halifax Regional Municipality (HRM). This is to ensure the Program’s clinicians can do wellness checks at the client’s home, should there be an urgent need to do so. Applicants must also have a substantial connection to the HRM, which must include, but is not limited to, working or attending school in the area, and their mental health support persons and programs must be within the municipal boundaries. The offence(s) an applicant is charged with must be within the jurisdiction of the Provincial Court. An applicant will be prohibited from making a further application to the Program on the same set of charges that were previously dealt with by the Program, except in special circumstances where additional significant and new information is available and presented through the applicant’s counsel. Former applicants and participants that make application within one year of completing their involvement with the Program will be required, through their counsel, to provide information to the Court in support of a further application. If a former applicant or participant has not had any involvement with the Program for more than a year, then the application process will proceed in the normal course. In all cases, the final decision of admissibility to the Mental Health Court Program rests with the team and requires the consent of the Crown attorney. 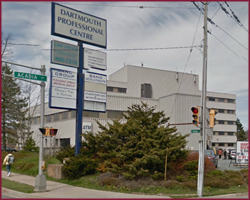 In 2017, the Mental Health Court Program in Dartmouth announced a partnership with Veterans Affairs Canada to support veterans in Nova Scotia who, as a direct result of their occupational stress injuries, have come in conflict with the justice system. Must have the consent of the Crown Attorney in the Mental Health Court. Veteran referrals will occur through the normal Mental Health Court referral process and may involve either a Veteran who is an existing client of Veterans Affairs Canada or, as a result of the referral to the Mental Health Court, will be referred to Veterans Affairs Canada for case management services. Both the Mental Health Court Program and the Court Monitored Drug Treatment Program partner with the Mi'kmaq Legal Support Network (MLSN) to ensure the cultural and other unique needs of their Aboriginal participants are considered throughout the court process. The broader court team includes a dedicated Court Worker from MLSN who oversees this work. The Mental Health Court team wants to hear from program participants about their experiences with the Court. There are links to two different surveys below; one covers participants' interaction with the Court's screening process (takes 5 minutes); and the other has to do with participants' experience in the Court itself (takes 15 minutes). Taking either or both of these surveys is voluntary. Not taking the surveys will have no effect on the participant's care. Survey answers are anonymous and confidential. automatically sent to the Health Authority). You can complete the surveys on your computer (MS Word) and then save, print, and mail them to the Health Authority (address is on last page). them to the Health Authority (address is on last page). in Kentville, serving Kings and Hants Counties. A Court Monitored Drug Treatment Program is also being piloted in Kentville.